With KOT and memes by our side, we Kenyans are a very resilient people. We have survived mercury-laced sugar (but time will tell) and mass looting of public funds. Hey, we have even survived the Nakuru cat samosas (dear world, don’t ask). Given this track record of pushing through even in the most difficult situations, I’d like to believe we’d survive a zombie apocalypse if it ever happened here. In case of a zombie apocalypse (like that experienced by the students at Kent High School in Freakish), here’s how to improve your chances of survival. Don’t know what I am talking about? The apocalyptic thriller Freakish is now streaming on Showmax. We’ve all had our share of traffic snarl-ups to know that it would be the last place you want to be during a zombie apocalypse. 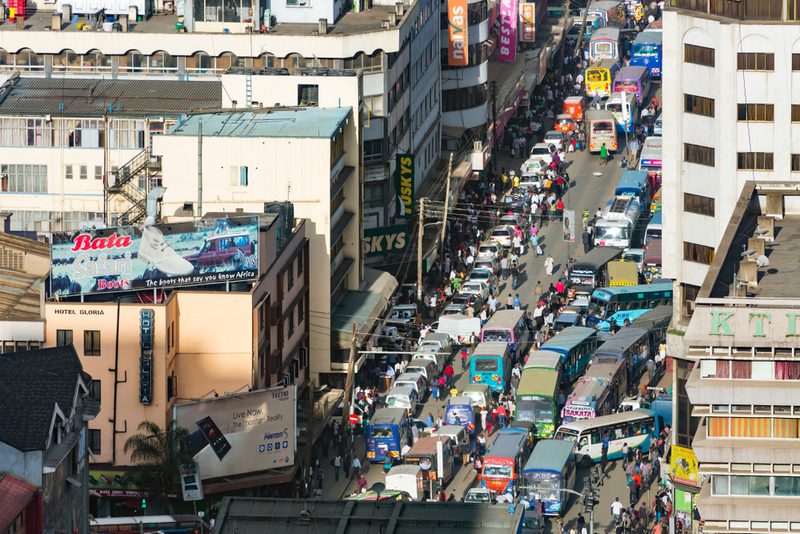 Lang’ata Road takes the crown for its ‘legendary’ peak-hour congestion. Imagine being boxed in between cars with no way to escape when hungry zombies show up looking to score an easy meal. We also know that Nairobi traffic can bring out the worst in people. Imagine cutting someone off in traffic only to find out that they were in the process of transforming into a raging zombie. There’s only one way this could end, and it’s not pretty. Zombies may not be the smartest creatures out there but their senses are so heightened, they can capture noise from miles away. We all know that Rongai matatus aren’t the quietest matatus in the city. First of all, they have no respect for passengers’ eardrums when it comes to music. Secondly, they are the most pimped and flashy matatus this side of the Sahara. Definitely, not the kind of environment you want to be in when zombies are taking over the city. Rumour has it that Infinix phones (and some Tecnos) cannot sustain charge for long, we can argue later whether this is true or false. But to be on the safe side of this fictional zombie apocalypse, you’ll need a phone with good battery life to make calls to emergency contacts and reach out to your loved ones – a dead phone will not get you the help you need. Yes, Twitter boy-child activist and dedicated whistleblower Cyprian Nyakundi can be a bitter pill to swallow at time, but hear me out. What’s the first thing you need when there is a zombie apocalypse? Information, no? May I direct you to a certain someone with a penchant for digging up information and starting fires on Twitter. Keeping up with Nyakundi could keep you in the know about the zombie hotspots and areas to stay away from. He might even point you in the right direction of who is responsible for the zombie apocalypse. From there, KOT can go to work, even in hiding. Considering the circumstances, we can agree that a slay queen demands certain privileges and can be too high maintenance to keep up with in a a dire situation such as a zombie apocalypse. Trust me, an entitled slay queen is the kind of dead weight you don’t need in this situation. Plus, we have seen enough movies to know that slay queens aren’t much help when it comes to life and death situations. You are probably asking why there would be a football match during a zombie apocalypse but nothing, not even undead flesh-eating hungry creatures can stop a Gor Mahia match from happening. Because of the obvious hype, you might be tempted to attend one. Don’t. Remember zombies are looking for highly populated areas and a K’ogalo match is one of them. But due to their legendary stone-throwing skills, this confrontation could go either way. Moreover, Kogalo fans wouldn’t go down without a fight so that’s a plus. Think you could survive a zombie apocalypse? See how the characters in Freakish do it. Freakish season 1 streaming now on Showmax.